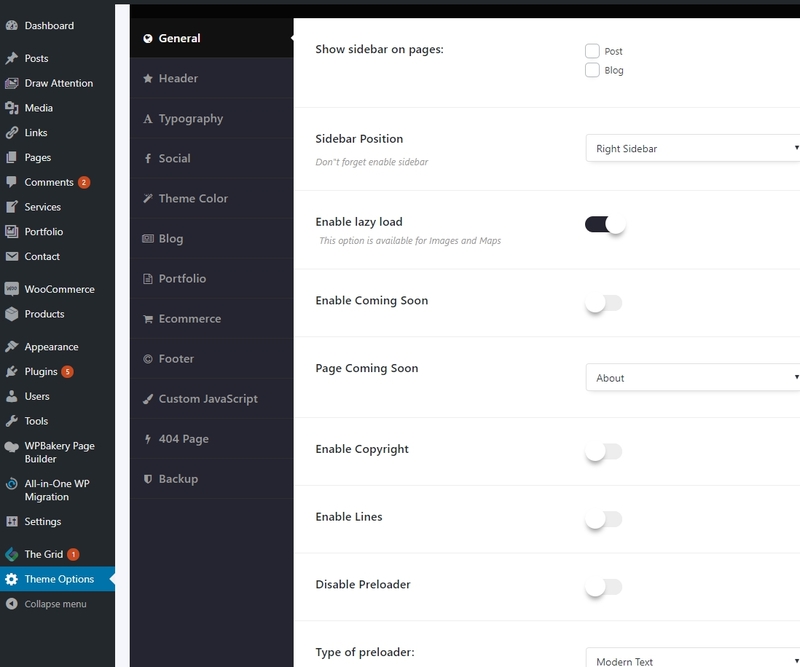 In the main theme panel, you will find settings for your custom theme branding and options to enable/disable any feature or function of the theme so you can easily disable anything you aren’t using to slim down the theme. You can all the customizations on TUR using TUR Theme Options. You can find the Theme Options in the Sidebar of Wordpress Admin, under Grid menu item. Notice: For starting using you just have to active required TUR plugins. We have created a list of settings which are separated on classes for better user navigation.